Feature: Depot Park is Sacramento’s newest and largest mixed-use master planned business center. It offers an ideal environment for distribution warehouses, manufacturing, research and development, call centers, retails development, office users of all sizes, flex space, high technology companies and those with large parking requirements. 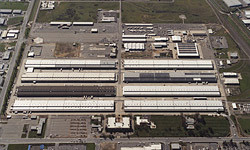 Uniquely, Depot Park is a gated and secure site with an onsite management and maintenance staff.